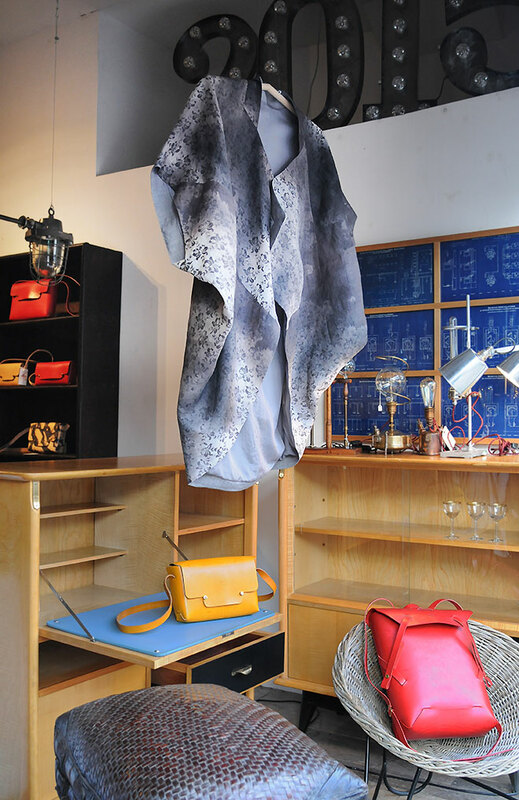 Kimono by Aurore Thibout, Bags by Sebastien Cordoleani, Lamps by Tania Tyer. 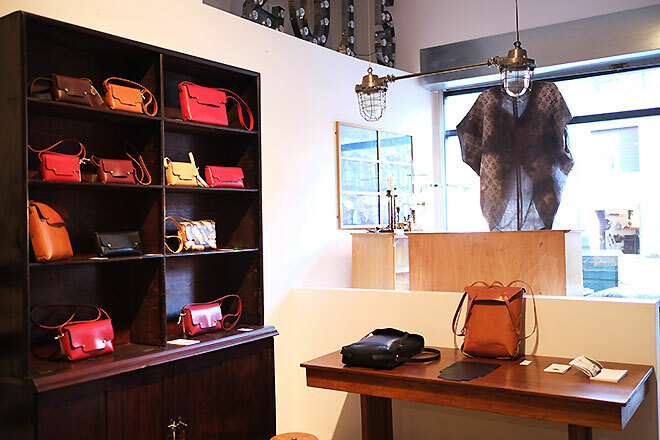 Our Xmas pop up went really well, showcasing some of our favorite designer makers, some locals and some of our french friends who came especially to present their new collection at Elemental. 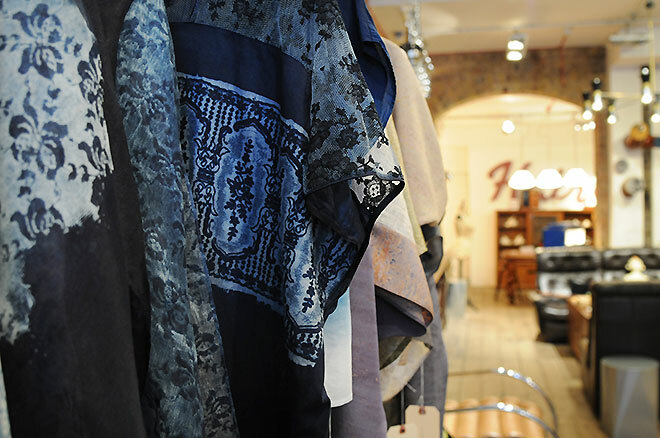 We always stock a selection of designer and artisan pieces exclusively for sale in our shop, handmade limited editions and one off practical timeless objects, to furnish and embellish your home. Seamless Leather Bags by Sebastien Cordoleani, Archipel Paris. 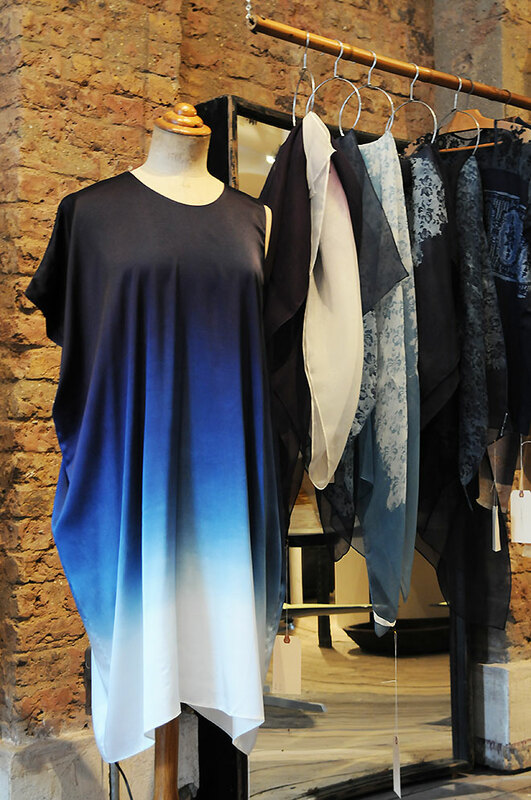 Colour of Time, Collection of naturally dyed and printed clothing by Aurore Thibout. 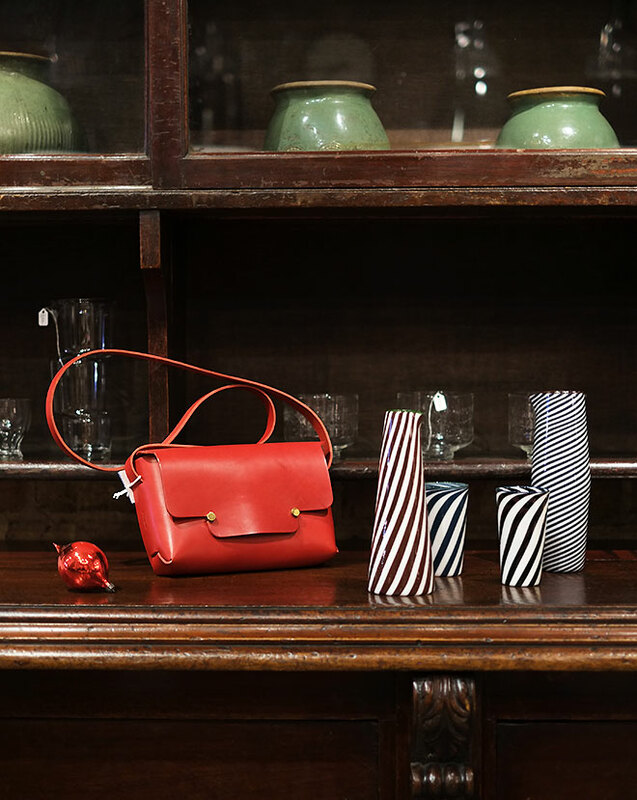 Bag by Sebastien Cordoleani Archipel Paris, Mouth blown Glassware by Laurence Brabant et Alain Villechange. 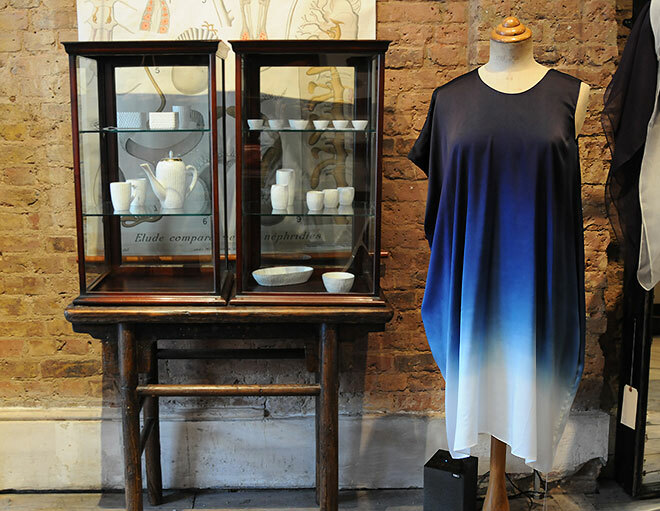 Handmade Tactile Ceramics by Ikuko Iwamoto, Indigo Silk Dress by Aurore Thibout.